The P&G brand of antiperspirant/deodorant for women Secret invites people, in its latest ad, to join the brand on its quest to end the gender pay gap in our lifetime. 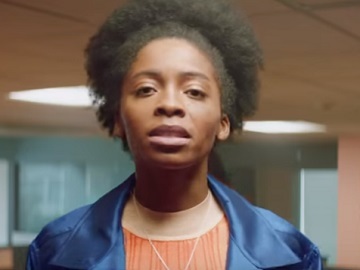 The 2-minute spot, created like an official music video and released with the #IdRatherGetPaid hashtag, delivers through a song titled “I’d Rather Get Paid” an important message, that asks for equality when it comes to wages. The video opens with actress Rinny Perkins in the toilet of a company, applying Secret antiperspirant and starting to sing on her way out. “I wish there was a song women around the world could sing to inspire and remind us we can do anything. An anthem we could play, both powerful and brave,” she sings, but interrupts her song to state “Come to think of it, I’d rather get paid.” The song continues with the following lyrics: “Rather make 20 more cents and get the same paychecks as gents. Then hear a song with a message in it that makes me feel better for 3 minutes. I see so many gestures telling women we’re strong. But paying us a fair wage is what we’ve wanted all along. Thanks for putting slogans on feminist tees, but if the future is female we’re gonna need that money. It’s great that women’s sports are getting more attention. If you paid the players fairly that would truly be perfection. It was cold during the march to see dudes in attendance, but moral support is not financial independence. You can rename history her-story, ticket every manspreader, or start a women’s cryptocurrency, literally a token gesture. I’m glad you gave that movie those awards. And that statue made a bold statement. And we appreciate your effort to maintain eye contact. But I’d rather get paid. So if you do really want to support to show there is just one secret we want everyone to know. We’d rather get paid. Seriously, we’d rather get paid”. Directed by Raine Allen-Miller, the music video also features Samira Wiley, Catt Sadler, Sophia Bush, Abby Wambach, Swin Cash, Claire Wasserman, and Ashley Louise, and includes a syncronized choreography number. Onscreen lines read, at the end, “Equal work. Equal sweat. Equal pay. Pay women what they’re worth”.